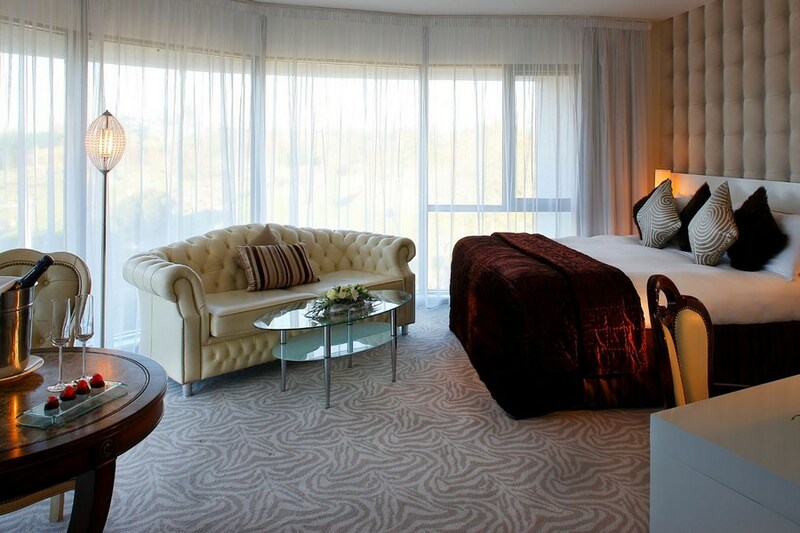 The Harlequin Hotel is a chic and luxurious 4-star hotel adjacent to the Royal Theatre and town centre. Contemporary and modern, nothing has been overlooked regarding your comfort and convenience. The hotel boasts 90 spacious bedrooms, the Harlequin Restaurant and bar, complimentary secure indoor carparking, complimentary Internet access and conference Facilities for up to 150 delegates. 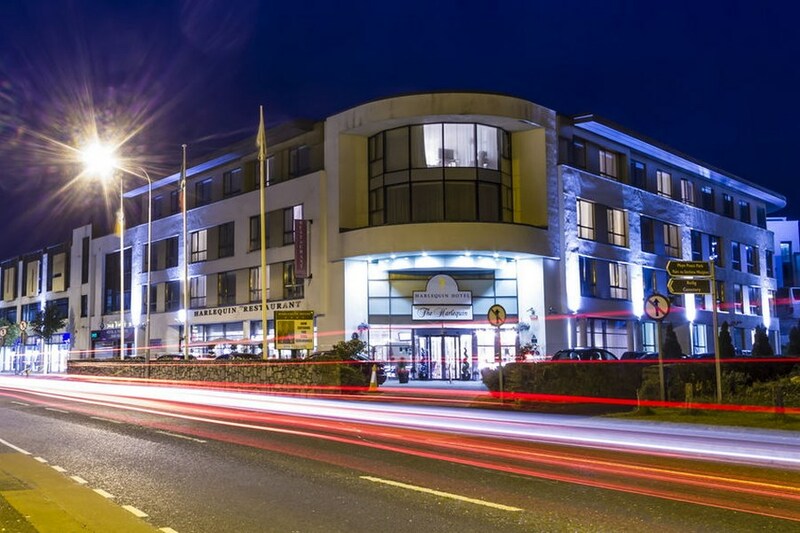 Situated on Lannagh Road, the Harlequin Hotel is conveniently located adjacent to Connaught's largest entertainment venue, The Theatre Royal and only a few minutes walk from the main street of Castlebar with many shops and fine restaurants on offer. There are many local attractions to explore for all the family, including Westport, Turlough Museum of Country Life, Knock Shrine, Foxford Woollen Mills, Ballintubber Abbey and Achill Island. Fabulous hotel, great staff & breakfast. Fantastic value for money. Great rooms & a comfortable bed. Charming boutique hotel. Rooms are tastefully decorated and comfortable. Breakfast and dinner were tasty and of high standard. Highly recommend. We had a fantastic time at the Harlequin Hotel. All aspects of our stay went incredibly smoothly - from check-in to check out. I had worried that the great deal we'd got through BargainBreaks was too good to be true but everything was perfect. 10/10! Overall a nice stay: Room was Lovely and very clean. Reception staff are great. Located just across from a lovely park by the lake and very close to everything. Perfect Location. I did have terrible experiences in the bar/restaurant though. Never seen such a disorganised spot. Every table filthy, piles of glasses stacked up at the bar. Staff were not very good, bit rude at times. Arrived for dinner and gave my room number and girl struggled to find a table that was clean, eventually sat us down and we had to set our own table with knifes and forks etc (same happened for breakfast) and they didnt even bother to help. Dinner was just dropped in front of us and the server just ran off. Dinner was tasty but the cereal bowl of milky defrosted veg was a bit of a turn off. Ordered an Irish Coffee after dinner. 15mins later no sign, was asked my room number and told it was on the way, 10 mins later no sign, again Im asked my room number, girl checks on it to make sure it is being made, 10 mins later.... it is not being made at all, I get up to leave and Im called back and asked my room number for the 4th time to settle the bill. €6.50 for a warm glass of white wine mmm Sadly this did put me off staying again but the rest of the stay was very nice. Hotel was fine , would stay there again. the one draw back was the staff in the restaurant were not at all friendly. Otherwise a fine hotel well located and very reasonably priced. the hotel was lovely, not far from the centre of town. the food was great and the room was spotless. will def go back to this one. Food good and rooms nice, dissapointed with bar and dining room. We found the hotel to be excellent. All staff were friendly and co-operative. Our room was very good. Food was very good. Hotel location across from the park was a great bonus. No concerns at all - we will be returning ! Rgds, Helen and Tim. Good experience, nice getaway for Good Friday. Recently stayed two nights. Nice hotel with very helpful staff. Room very nice and comfortable. Breakfast and dinner very impressed. Lobby is too open and very cold in sitting near the doors - but it is a small lobby. Overall very enjoyable stay and would recommend the hotel. Beautiful hotel,the staff are all very helpful and friendly.Food was great.We really enjoyed our stay. Was very nice staff, lovely food and atmosphere. Thank you from Co. Monaghan family. Stayed here last Saturday night and it was superb. The Hotel Receptionist was very welcoming and the room was spectacular. We had dinner also which was very good and I would recommend anyone who wants to stay in Castlebar to stay here, simply fantastic. The only thing missing was the swimming pool but other than that very nice. Very enjoyable stay.Close to all amenities and town centre.Staff very efficient and friendly.Ideal location for shopping also with free car parking for residents.Would highly recommend. Lovely Hotel stayed 1 night if I am in Castlebar again I will certainly stay here. 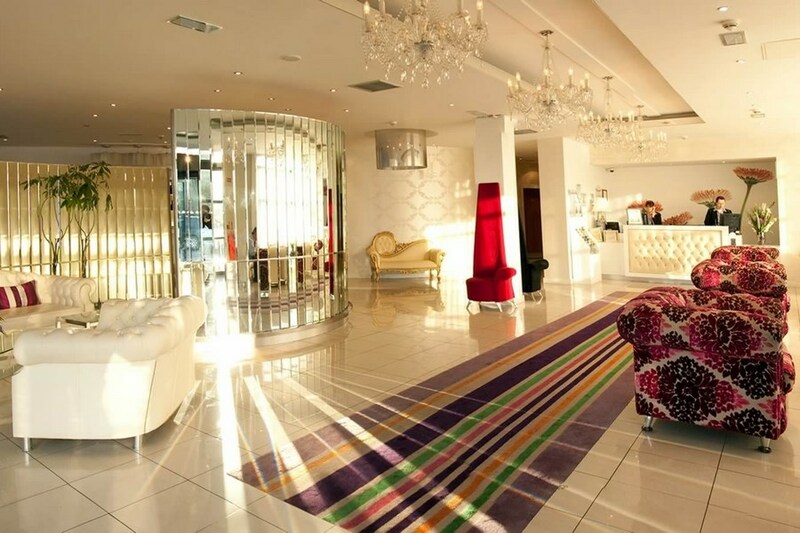 mary d carlow stayed 3 nights here and will definately be back.lovely bright and clean hotel with friendly staff. We stayed for two nights it was perfect the food was great and the staff were very helpful it was just a great hotel to stay in would recommend it. Enjoyed our stay in Harlequin Hotel. Great location, very comfortable bedrooms, staff pleasant and helpful. We thought that the breakfast was good, the food freshly cooked and a nice range of fruit and breads. The only quibble we would have is the carpark. We overshot the hotel (could be better signposted!) and had trouble identifying how to approach the car park. Perhaps the hotel could post a map identifying how to approach and access the car park? I certainly would have no complaints about the Harlequinn. The room was very comfortable and the staff friendly and helpful. The underground parking is also a big plus. Will definitely stay there again. Had a good stay here. Very pleasant looking hotel, the staff are friendly. The food was above average and the bed comfortable. Really good value overall. My only complaint is that the room heating was on too high and we were uncomfortably warm. My husband and I stayed in the lovely Harlequin once again last Sunday night. Our stay was faultless. Staff lovely, so welcoming, friendly, chatty & efficient. Free car parking in multi storey adjoining hotel is a real bonus. Room lovely, warm, cosy, bed very comfortable. Dinner was sooo tasty, as was breakfast, plenty of choice and the usual diced fruit to "die" for. Hotel's location is a bonus, beside shops yet just out of town centre and next door to T.F. theatre. Bar bit of a disappointment, it's really only a small counter at the side of the dining room, we went elsewhere for our drinks. Thank you staff for another great overnite, we will be back. Overall I was not impressed by this hotel. Hard to believe it is a 4 star. While there are positives i.e. within walking distance of the town and free parking, the room we were in was on the side of the hotel situated beside the road. Therefore it was extremely noisy, especially at night time when all you could hear was boy-racer cars zooming up and down the road endlessly. The suite itself was lovely, comfortable and spacious, however, when we opened the window about 20 flies fell to the floor and these were not cleaned up at any point over our three night stay. The breakfast was delicious with a great variety of foods. Our package included a two course meal each night (supplement for certain foods). We each had the steak one night and I can say it was the worst steak I ever had - my partners was also bad. It was bland with no taste and no vegetables/potatoes were given with it until we asked. The chicken and beef we had on the other nights was delicious though! The fact that there is no 'bar'/pub (as in a separate room) was very weird. The open plan reception/lobby/bar/restaurant area gave a very un-cosy feel to the hotel. Average hotel but the food was a disgrace. I had the fish and got the smallest portion ever seen. Vegetables, again the smallest portion ever seen. Complained about the fish portion and the chef decided to send out another portion when dinner was over. Wont be booking dinner here again in a hurry. We were glad it was just a 1 night break. We requested a non smoking roon, but our room 425 smelt of cigarette smoke. The silk runner at the end of the double bed had cigarette burn holes, and also stains, I did mention this at checkout, as I felt that housekeeping should have noticed this when making up the bed. Breakfast was a joke as the hotel dining room did not have enough space for their guests. We were asked for our room number and told we had to wait until a table became available. At least 10 couples before us waiting for tables. It was like being at bingo, calling the room numbers as tables became available. Dinner the evening before was fair not much choice, but for the price we paid I suppose this was fair. I would not class this hotel as a four star, no face cloths in the bathroom, glad I brought my own slippers and facecloth, most 4 star hotels we have stayed in provide these, also no bottled water. The staff were friendly, but I would not stay in this hotel again. Lovely bright and airy hotel. Staff were very friendly and helpful and breakfast was excellent. Would definitely stay again if going to Castlebar. Great value for a Weekend. Staff were very friendly and helpful and the Breakfast was wonderful. Rooms are to a High spec! Stayed in the hotel for a weekend - staff were lovely and friendly. We were expecting more of a boutique hotel to be honest, felt this hotel was more of a 3star with funky decoration as opposed to a 4star boutique. Room lovely and big, no mini bar though which was a disappointment and the view was the roof and graveyard. Curtains were stained as was the carpet although the bedroom and bathroom were very clean. Walking distance to shops, restaurants. Breakfast was ok, definitely not 4 star standard though. Really enjoyed our stay in the Harlequin on saturday. The room was very comfortable and the meal was very nice. Good value. Only slight negative was boy racers out on the road in the middle of the night but hotel can't control that. Would reccomend the hotel. Went for a few drinks in the Irish House pub around the corner. Great bar for a pint if you're in the hotel. Booked two nights b&b and one meal at the Harlequin last week. We enjoyed our stay. Room was quiet with comfortable beds. Staff were very friendly and efficient. The Dinning room is in the wrong place and should be moved to one of the Conference rooms this would open the bar It is the case that the bar in the hotel is small but the pint of Guinness is really good. The hotel location is great - on the corner of a complex containing quite a few large shops and a few minutes walk from he main street.